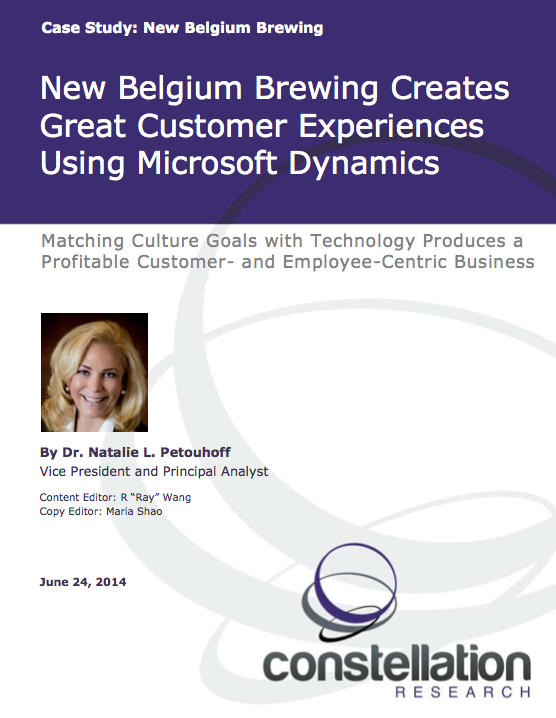 New Belgium Brewing Creates Great Customer Experiences Using Microsoft Dynamics | Constellation Research Inc.
New Belgium Brewing Company is a company that prides itself on being a customer- and employee-centric business. When rapid growth threatened New Belgium's ability to adhere to these principles, the company implemented Microsoft Dynamics AX for ERP and Microsoft Dynamics CRM with Supply Chain application. The implementation resulted in an improvement in supply chain management, enhanced sales and support, and higher employee productivity--all cumulating in a 33% increase in sales. Success Tied to "Green Brew Culture"